Concordia’s men’s basketball team looked once again to defeat the McGill Redmen. The Stingers were dominant throughout most of the game, but were ultimately unsuccessful, falling 88-81 to their opponents, Thursday night. Concordia put up 21 points in the first quarter, six of which were scored by guard Ricardo Monge. The Stingers kept up a solid offensive drive throughout the quarter, all while keeping the Redmen to a respectable 17 points. Heading into the second quarter, Concordia hoped to hold their momentum, which they managed to do up until around the halfway mark of the quarter. The Stingers were dropped a 32-23 lead in under three minutes, and just like that, the Redmen were back in the game. At the end of the first half, the score sat at 43-41 in favour of McGill. The third quarter did not start off much better. The Redmen netted themselves eight more points, putting them 10 points ahead of the Stingers. Not all hope was lost though, as the Stingers pulled themselves together enough to put themselves within two points of McGill. The score going into the final quarter was 62-59, in favour of the Redmen. The last quarter saw a lapse in Concordia’s defense. Noble, who started the game, sat only three minutes, while Beaulieu, a starter as well, played a close 29 minutes. While Concordia managed to tie it at 67 for a brief moment, they just couldn’t close, allowing McGill to score 26 points, and dropping the game 88-81. This, however, was not their last shot at the Redmen. 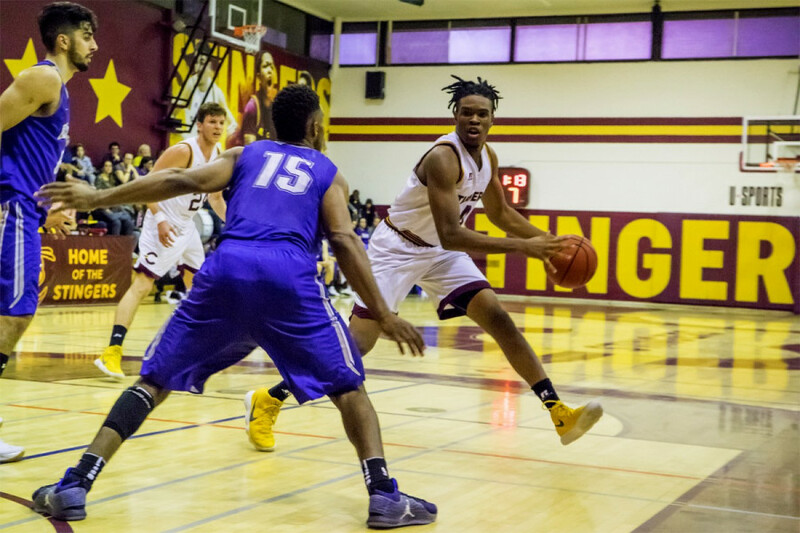 The Stingers suit up to play at McGill on Saturday, 6 p.m., at Love Competition Hall, where they have a chance to redeem themselves and bring home the win.